Stripes and fringe! What could be more classic? 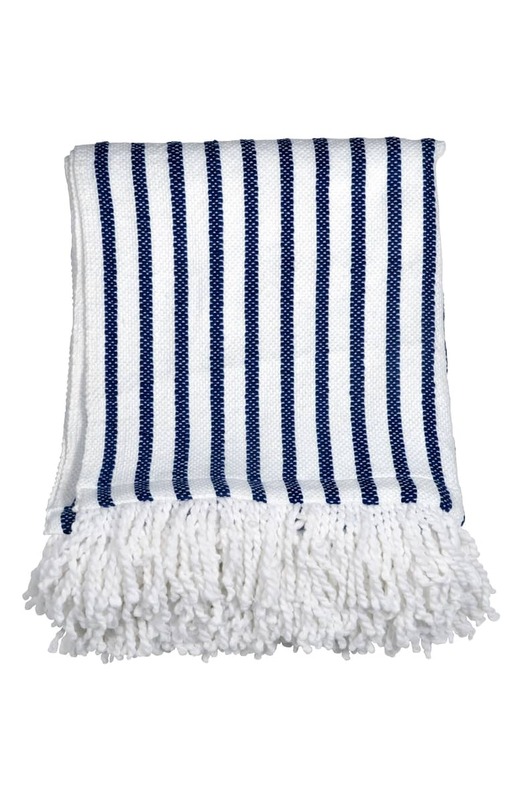 Crisp stripes add a bit of maritime flair to a cozy throw blanket trimmed in lush, thick fringe.